I've gotta say hydrangeas are so beautiful and simple and depending on what you do with them you can create a completely different vibe. This time I got some gorgeous pale blue hydrangeas and decided to pair them with a wooden box to create a rustic, country feel. I love it. Then, I decided I should dress them up a bit for a more traditional vibe. Here they are paired with genestra branches which really help create a dramatic centerpiece. These are a great alternative to other branches and I love the small, delicate flowers on them. Flowers can be casual and beautiful. I paired some chrysanthemums with lemon balm I got at the Oak Park Farms Market and loved how effortless it was. The mason jar really captures the casual vibe. 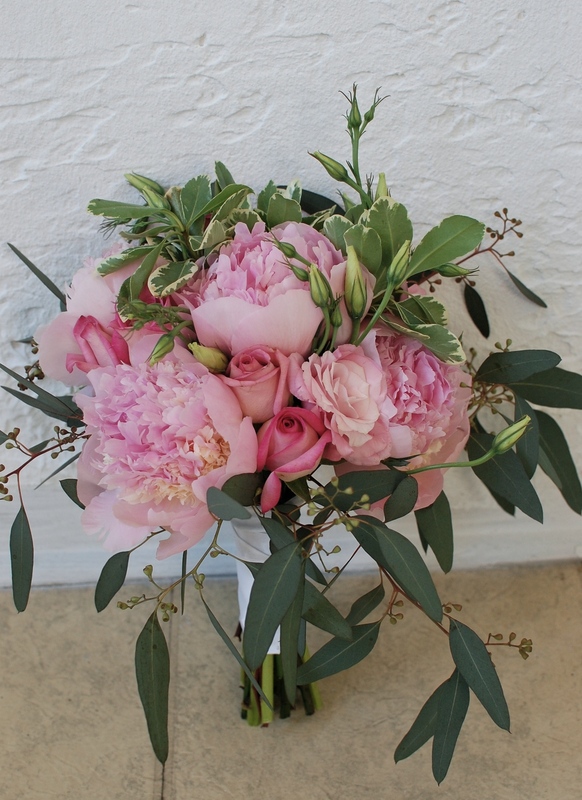 Peonies are so beautiful and highly fragrant - not to mention one of my favorites. They aren't around for very long so as soon as they are in season I make sure to always have some around. I thought I would play around with some more romantic bouquets that are also a bit more rustic. Different vases help change the look from rustic to romantic. Enjoy!